Almost all entrepreneurs have a great idea of introducing a unique product in the market. They may even come up with the right business to achieve their objective. This is how they intend to make their fortune in this environment. However, they need to overcome a very important hurdle. These proprietors need to obtain the necessary funds from external sources to finance their venture. It is a risk they must be willing to take. After all, bootstrapping doesn’t take them very far. For them, commercial loans and credit cards continue to be the most popular modes of obtaining money. Prominent financial experts warn them to be careful about how they use such resources. 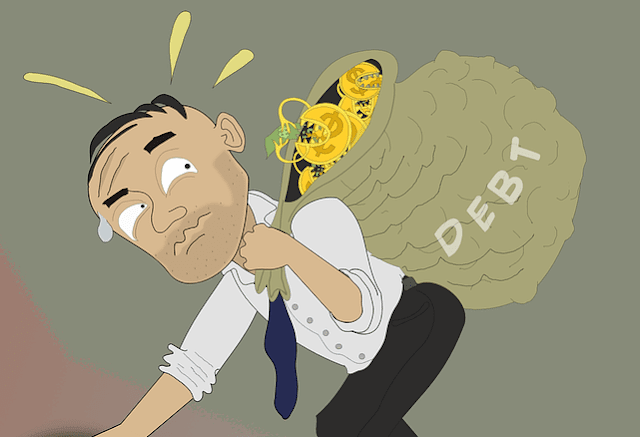 Why Should Entrepreneurs Consider Debt Consolidation To Be A Viable Option? These professionals explain that debt can be a viable way for entrepreneurs to finance their business operations. However, these businessmen need to ensure the assets at their disposal can generate sufficient income. Otherwise, they can never expect to make the principal and interest repayments of time. Moreover, they should never make the mistake of accumulating too much of it. They’ll soon realize such obligations become unmanageable. It can ruin the existence of their establishments in the market over time. This is obviously something they don’t want at any costs. The specialists admit many entrepreneurs accumulate huge debts in the circumstances beyond their control. Many of them find themselves experience a sudden fall in sales or an increase in costs. This puts immense pressure on their organizations’ financial position. Before they know it, these proprietors could be facing severe a cash crunch situation. To tide over the shortfall in funds, they may be approaching reliable financial institutions.The owners obtain loans from such organizations at exceptionally high rates of interest. A time comes when they find it very difficult to repay the installments of such funds. Soon they have to look for suitable alternatives. This is where debt consolidation comes into the picture. The financial experts clarify a debt consolidation is a viable option for entrepreneurs facing loan repayment issues. Many of them may be facing immense difficulties in meeting the datelines for clearing such expenses. This ultimately has a negative effect on their creditworthiness. It also damages the reputation of the organizations in the marketplace. This is something which these businessmen cannot take lightly. Under this debt relief scheme, the proprietors enter into talks with their lenders. They request such creditors to convert all their multiple loans into a single one. This fund is generally available to such owners at a relatively lower rate of interest. Reliable lenders and financial institutions offer business funds under this scheme have own eligibility criteria. Entrepreneurs who want to consolidate all their multiple loans into one have to satisfy such requirements. The creditors generally assess the present financial situation of these proprietors. They also look into their creditworthiness and revenue streams. These financiers also consider the length of time these owners have been operating in the market. Only then do they make their final decision. Businessmen who want to more information on such aspects should go with Nationaldebtrelief.com for recommendations. Why Is A Debt Settlement Scheme So Popular? Many entrepreneurs with mounting loans face problems making their interest repayments on time. A single default can have an adverse effect on their credit scores over time. In many cases, they are liable to late fines which further increases their indebtedness. This puts further pressure on their finances. Debt consolidation provides them with a way out of this situation. By converting their multiple loans into one, they have to make a single interest payment. This is normally at a lower rate of interest. This is perhaps one of the most important reasons why many entrepreneurs opt for debt consolidation. The scheme goes a long way to helping them improve their credit ratings in the market. There are also no indelible marks on their overall credit score. This, in turn, acts as a catalyst in restoring the reputation of their businesses. These businessmen just need to make their monthly interest payments on time to avoid trouble. It is a fact which these owners cannot afford to overlook. Entrepreneurs who are unable to repay their loan installments on time face a serious problem. They get constant phone calls from reliable collection agencies to remind them of their liabilities. The professionals of such organizations even go a step further. They warn these businessmen of the dire consequences they are likely to face. After some time, such messages become a source of harassment for these owners. Opting for a suitable debt consolidation scheme can help these proprietors put a stop to this. In the process, they regain their peace of mind. At the time of opting for loans, entrepreneurs need to provide adequate assets as collateral. Only then will their lenders sanction such funds. However, when these businessmen fail to make their repayments on time, these financiers can repossess such assets. They have no choice but to accept this risk. These proprietors generally go to any extent to avoid facing this situation. Fortunately, opting for a suitable debt consolidation scheme can help find a way out of it. Entrepreneurs are well aware that mounting financial debt can increase their stress level. It can play havoc on their organizations' cash flow position over time. This has an adverse effect on the creditworthiness and reputation in the market. They lose sleep trying finds ways to reverse the situation. Opting for a suitable debt consolidation scheme can help these proprietors achieve their objectives. The above four important advantages prove this fact beyond any reasonable doubt. However, these owners need to choose a reliable service provider to represent them in the negotiations. Only such a professional has the necessary skills, knowledge, and experience to conduct the discussions. This ensures these businessmen get the results they are looking for. I hope you enjoyed this blog post about the top benefits compelling entrepreneurs to choose debt consolidation as a solution to debts. Interested in more articles about reducing or staying out of debt?